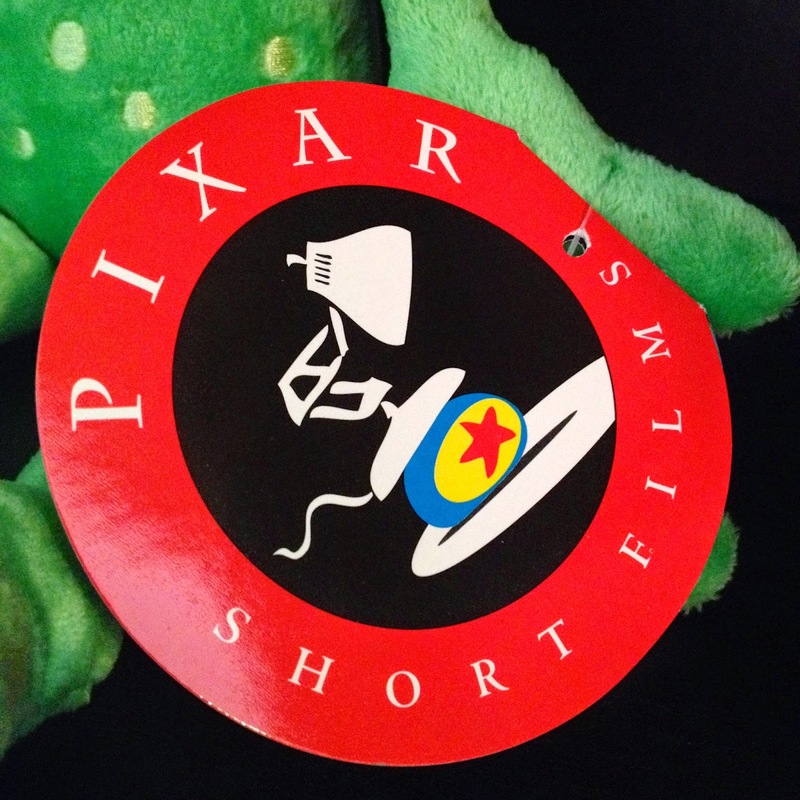 If you've been following my blog, you may know that I'm a gigantic fan of any of the merchandise released related to any of Pixar's short films. The reason is simple...there's just not much of it! Whenever something short film related is released, it's a rare treat. Plus, it's usually a limited release or only available at the Pixar's Studio Store (which is in the Pixar Studio main building, invite only). 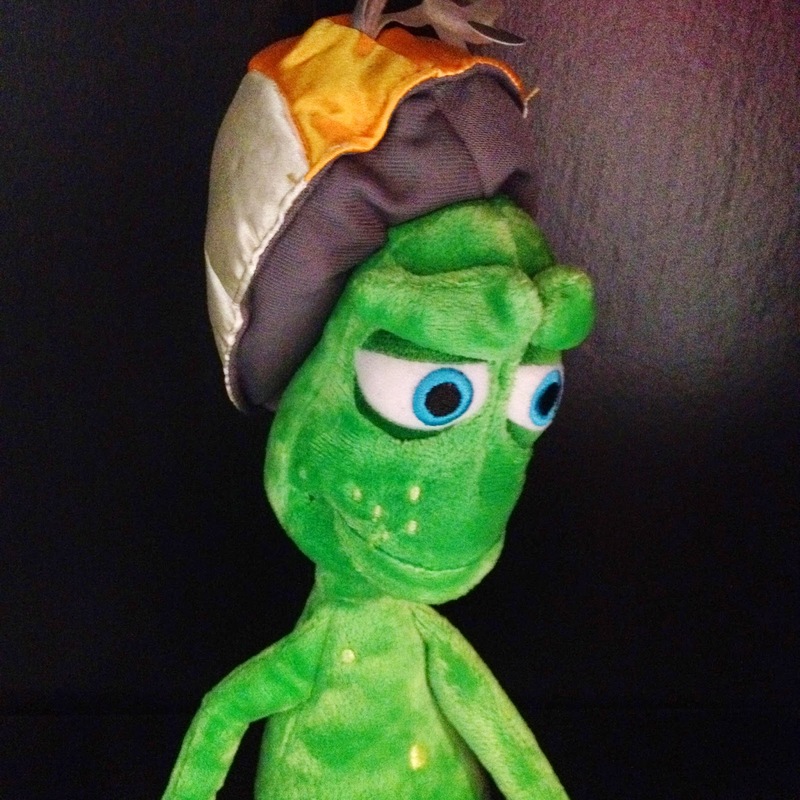 I'm so excited to have just added this Lifted Stu plush to my collection. However, I couldn't have done it without my amazing wife who got me this as a great birthday present. A BIG thanks to her! 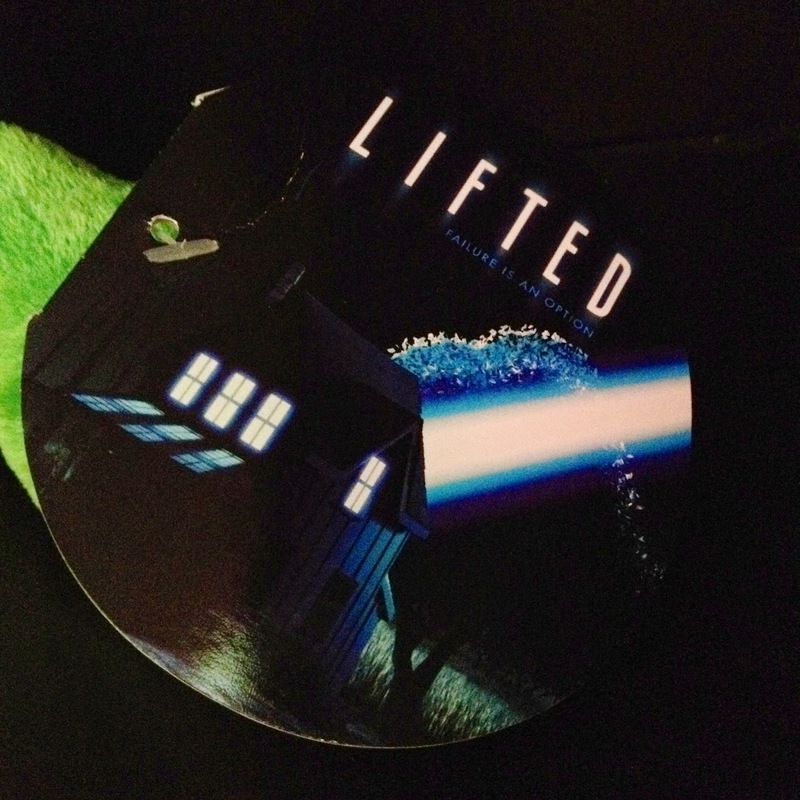 Lifted was Pixar's 2007 theatrical short that was released alongside Ratatouille. 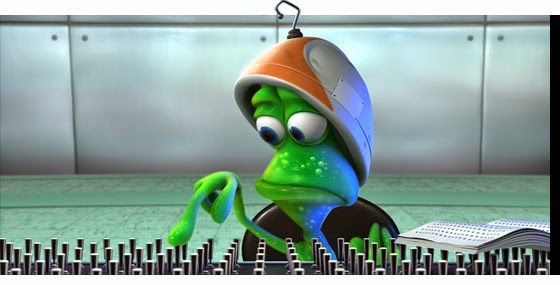 It was directed by Gary Rydstrom, who is a long-timer there at Pixar working in the sound department. 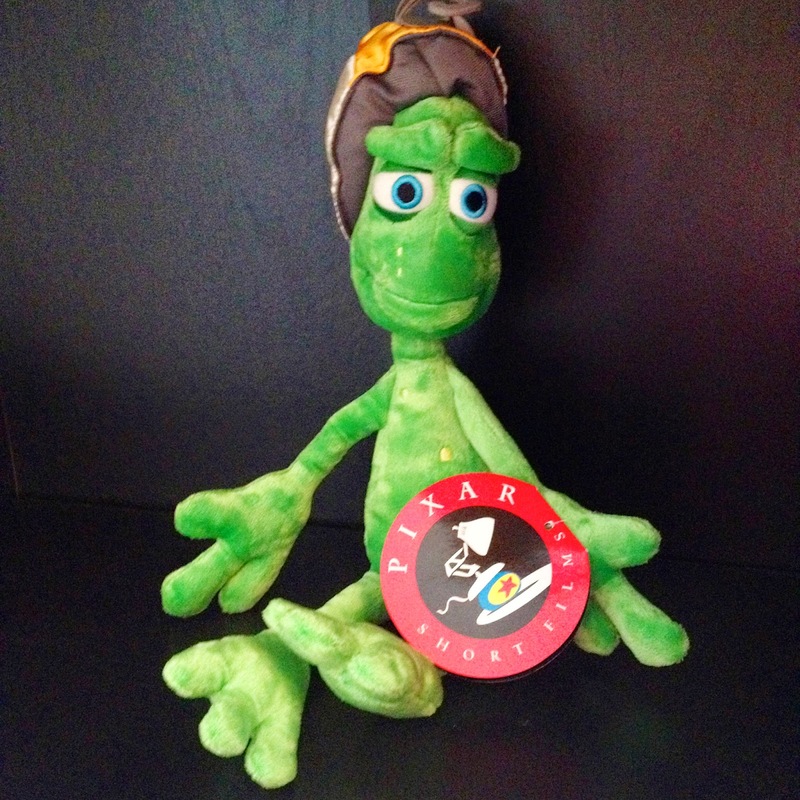 Gary has been at Pixar for years, harkening all the way back to the original Toy Story. He also directed Pixar's first Toy Story Toon: Hawaiian Vacation. 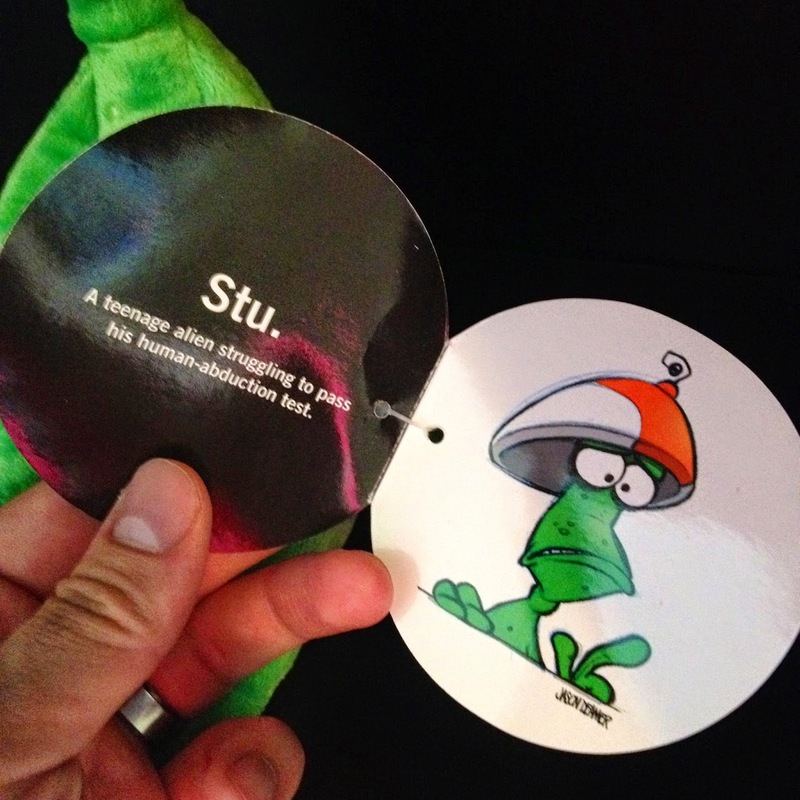 In the film, this character, Stu, was the "teenage alien struggling to pass his human-abduction test." What a hilarious concept. 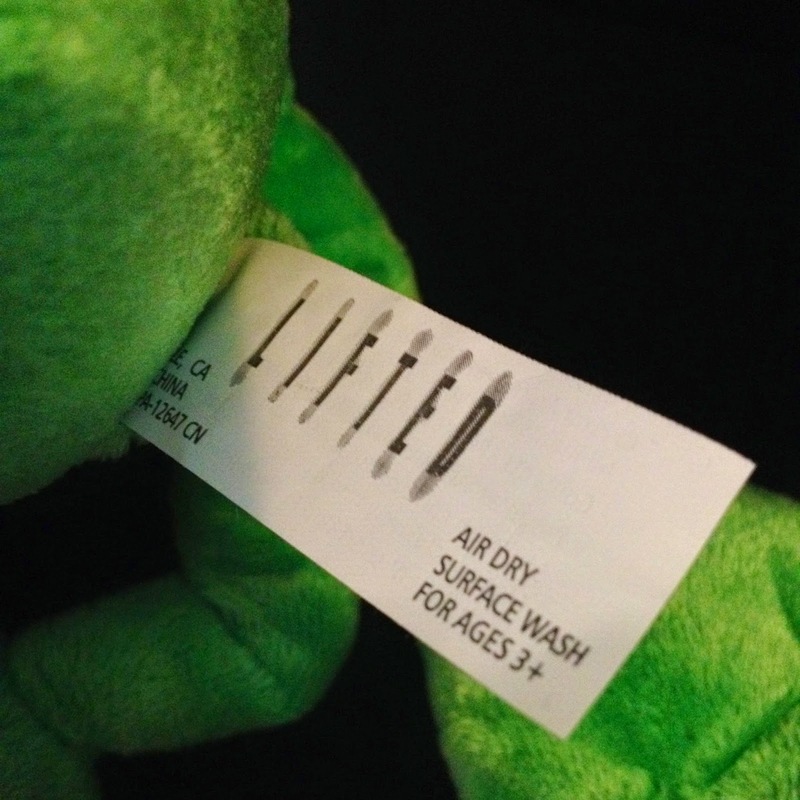 I really love the cleverness and humor of this short. It never fails to makes me laugh out loud a few times. 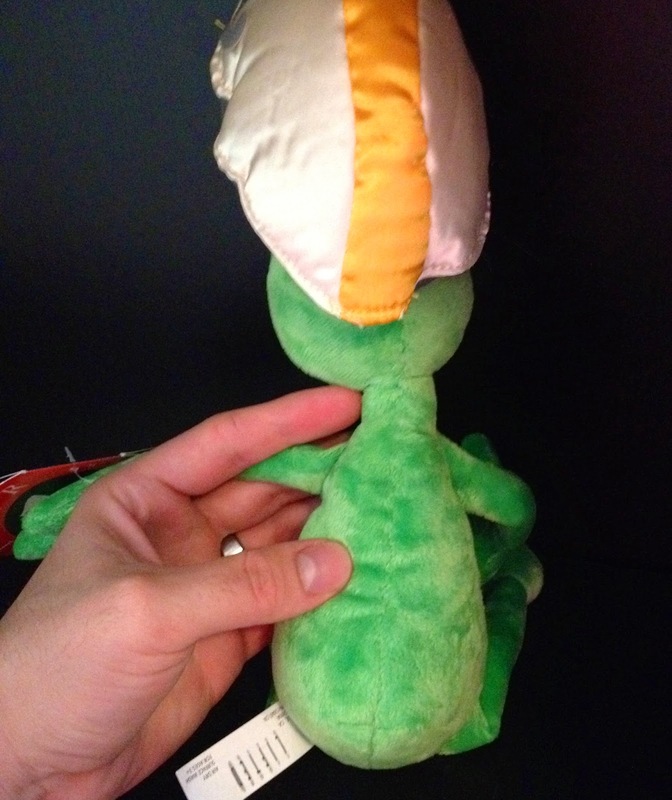 This is a 16" plush toy that was available ONLY at Pixar Studio Store in Emeryville, CA. Really the only way to get it now is to snag one on eBay. Listings for this plush pop up occasionally, but be warned, it can get pricey since it is so rare. Currently, there is just one selling for $119.99. I was lucky enough to come across a much more reasonable price. Keep an eye out! This is one out of seven "short films plush" that I've been lucky enough to own. The other ones are the Gopher from Boundin', Alec the bunny from Presto, Bambino from La Luna, Bird from For the Birds and the Jackalope/lamb 2-pack from Boundin'. I absolutely LOVE this plush. It's a most welcomed addition to my collection, especially being my first item from Lifted. It's without a doubt another one of my most prized pieces. UPDATE: As a side note, I have to mention the awesome way Brita give me this guy. After my party and present opening was done, I had totally forgotten that I was even expecting this. 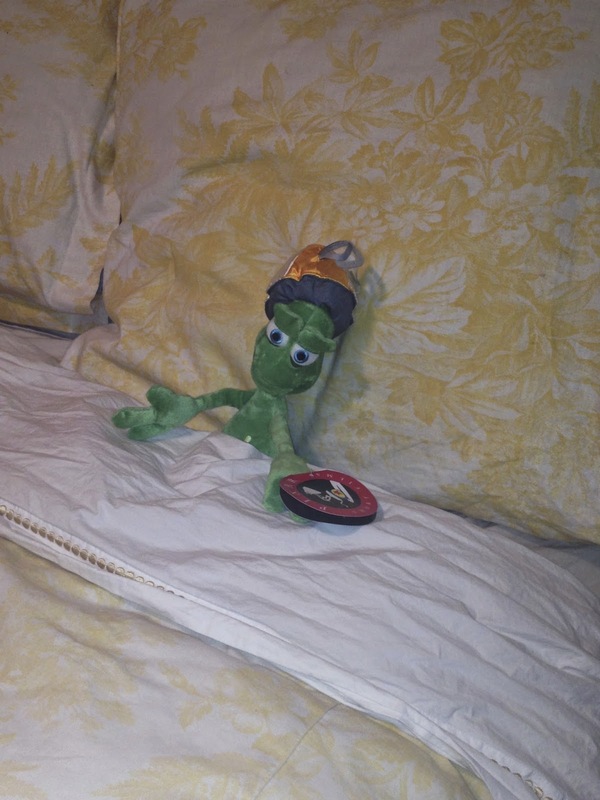 When I went into our bedroom later that night to go to sleep, there he was waiting for me! Such an awesome little surprise.